Contrary to popular opinion, God’s Spirit is communicating far more to us than we care to acknowledge. He’s at work far more than we care to notice. God doesn’t leave himself without a witness. He uses any and many means to inform the paths we should take but we have to pay attention to the signposts he positions for us along the path of our life’s journey. God’s always speaking, it’s whether we are listening. God’s always revealing, it’s whether we are seeing. Just as a freeway has signposts directing you from where you are to where you want to be, God gives us signposts to help guide you from where you are to where you want to be. His signposts range from people we bump into, to the circumstances we face, to the opportunities before us, to the words we receive, to the impressions in our hearts and everything in between. 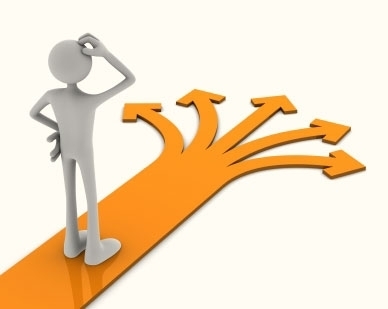 What are the signposts God maybe using to lead you right now in your life? Pay attention and you’ll get to your destination! Too many of us are leading ourselves around, rather, than being led by the Spirit. There is a tension that exists between using my brain to live and following the leading of the Spirit. Head knowledge is helpful and important. It does make a difference. But sensitivity to the Holy Spirit is more important and separates the men from the boys. God gave me a brain and I’m convinced he wants me to use it but I’m aware that my brain can get in the way of my heart and what God is trying to teach and lead me in. We must learn to live out of what God’s spirit in our spirit is revealing to us. A renewed mind is critical if I’m going to make healthy and productive decisions. There is a critical connection between a renewed mind and a full spirit. My life is shaped by the decisions I make and my choices need to be shaped by the leadership and counsel of the Spirit of God. He’s not passive but very active in seeking to guide me. I foster clarity in the Spirit by regular times of communion and being still. Life can sometimes feel very jumbled up and upside down. It will get back on track if you will surrender and seek more to be led by the Spirit of God. 1. Person-hood = Are you secure in who you are? Do you base your identity on your achievements or on God? People who are relaxed with themselves prosper in their purpose. Too many of us try way too hard because we are not comfortable with ourselves and yet the more we overcompensate in our behaviour the more we actually repel people and purpose away from us. I encourage you to let people into your life that help you to not take yourself so seriously but also help build the authentic you. 2. Purpose = What’s your life purpose? Knowing your purpose is liberating and central to your life as a human. God has created you for a purpose and He wants you to fulfil that purpose. Knowing your purpose begins with identifying the passion that energizes you. Secondly, get clear on the gifting that is making room for you. And thirdly, be aware of the convictions that define your worldview. When Passion, Gifting and Conviction intersect, you start to live on purpose. 3. Prosper = Are you prospering in your purpose? 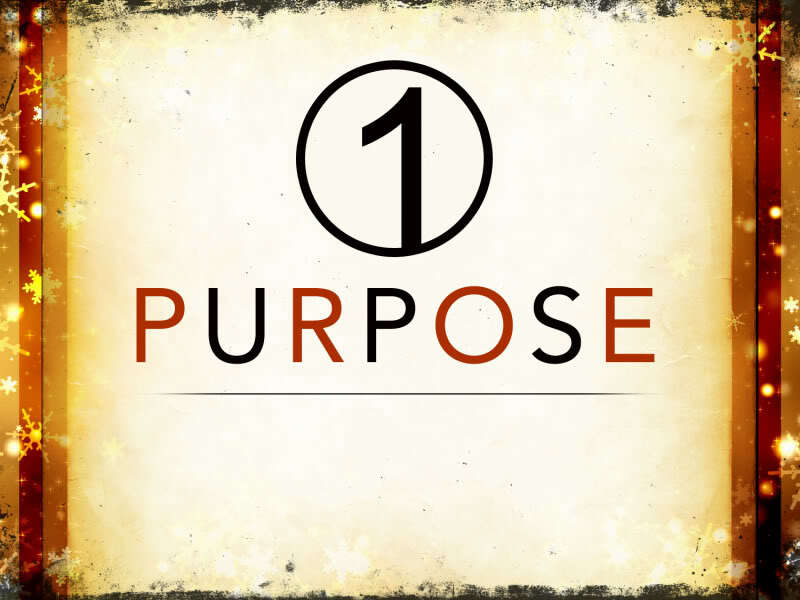 You know you are prospering in your purpose when 3 key things happen. You’re in your element. You’re producing fruit and you’re getting rewarded for it. The bible says, ‘You shall know them by their fruit.’ Your fruit is the outcome of your actions. When you are in your element, you will produce fruit and you will be rewarded for it, not only in eternity but in the present as well. 4. Empower = Are you empowering others to prosper in their purpose? Apart from leading someone to Jesus, the most noble cause on planet earth is to help people find their cause to live for. If your success stops with you, you’ve wasted it. We’ve got to pass onto others what we have learned for ourselves. John Maxwell said to Bill Hybels once, ‘Bill, you’re a great leader but until you understand why you’re a great leader, you’ll never be able to help anyone else.’ The person who is good at something is a dime a dozen. The person who knows why they are good at something and is able to help others become good at their something is very rare indeed. The best way to learn something is to actually teach someone else. You can know what your purpose is and prosper in it. God has created you for a purpose and the world needs you to prosper in your purpose. Psalm 139:14 I praise you for I am fearfully and wonderfully made. Lots of people journey through life without a clear sense of purpose and personal mission. Truth is, every single one of us can and should connect with our reason for being alive. While the ultimate reason God created us is for relationship with Him, He has wired us up with some unique strengths for a specific purpose on planet earth. Discovering your life mission takes time and is a life long journey. The longer I live the more I discover about my purpose and reason for being wired up the way I am. If you are unclear about your life purpose, don’t fret but begin the journey today to discovering more about God and then he will help you discover more about you. 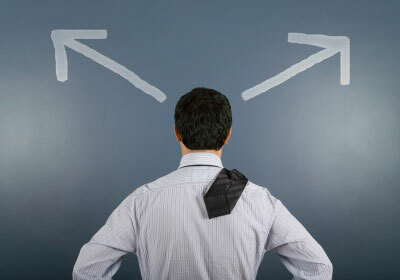 If you have some clarity, then go deeper in the journey by asking some further questions of God and yourself. Engage in a closer self-examination. Begin with God. If I want to know the purpose for a particular product, I would go to the original manufacturer and ask the all important question, ‘what on earth does this product exist for?’ The original creator of your life is God. If you don’t believe this fundamental truth, then your first step towards your life mission is to re-examine your belief system and be open to going on a faith journey with God. God created you fearfully and wonderfully. Your destiny is not your decision, its your discovery. God is sovereign and he has a plan and purpose for creating you. Connect to your calling by connecting to God and he will give you inside information on who you are, what your wiring is and how best to utilize your strengths to fulfil your mission. Understand your Past. Your destiny is hidden in your history. God has already been at work revealing, shaping and moulding you for your life mission. Even the painful experiences God can and will use for his glory and your testimony. Reflect and remember where God has already been active in your past. Identify your Passion. What’s your holy discontent? What stirs your affections and passion. What makes you leap to your feet and moves you to action? Too many of us are content to stay in roles and environments that don’t really reflect the passion beating in our hearts. Connect to what it is that you love doing and love resolving and go after it. Discover your Ability. What comes easily to you? Where do you seem to excel? What have others said to you, you are good at? What do you find pleasure in doing or being apart of? Don’t believe the lie, that you’re not good at anything. It’s rubbish. Everyone of us are good at something. Start engaging in life and see what comes to the surface of what you do well. See your Opportunity. What doors are open to you? It could be no doors are open in your area of interest currently but if you knocked on a door, what could open up to you? Opportunities to engage in life are all around us. Discern what opportunities lie before you, even if disguised in hard work and start to take some steps in that direction. Open your Ears. What is God saying to you? What is His still small voice impressing upon you? What are others around you saying? Chew the meat and spit out the bones of people’s comments. Listen with a discerning heart and embrace what resonates with your spirit and throw out the rest, unless God is trying to speak to you about an area of your life you need to pay attention to and grow in. Record your research. Don’t just let important details you’ve discovered to float around in cyberspace or brain space, get it down on paper and exact your thinking with writing. Your life mission is too important to be vague and fuzzy about. Get clear, get specific and get focused. God created you for a specific purpose. You have a life mission and God wants you and expects you to connect to it. Your life is a gift from God, what you do with your life is your gift back to him. Don’t waste another day, swimming in a sea of doubt and disillusionment. Begin the journey today to living on purpose and connecting with your life mission. Your calling is shaped by defining moments in your life. I can point to defining moments that have marked me and shaped my identity and calling. What about you? What is your call story? You may think your career is your calling. Not necessarily so. A calling is different to a career. A career is about making money, a calling is about laying up treasures in heaven. A career is about convenient living, a calling is about a life of sacrifice. A career is about an employees rights, a calling is about Gods always right. A career is about the applause of man, a calling is about the applause of heaven. A career is about attaining success, a calling is about being faithful. A career has a conclusion, a calling lasts a lifetime. There is a lot in this definition but there needs to be. Calling is deep, mystical, divine and a matter of the heart, not the head. Just take a cursory glance of the Scriptures and you will discover calling can come in lots of different shapes and sizes. Noah was called to save a remnant by building a boat. Moses was called to be a deliverer. David was called to be a king after Gods heart. Elijah was called to be a prophet to Israel. Paul was called to be an apostle to the Gentiles. Don’t minimize your call to simply your ‘job’ but realize regardless of what occupation you engage in at any one time, you’re calling transcends it. Calling and identity are so closely aligned, it’s hard to know where one begins and the other ends. There is such an intertwining of identity in your calling that your soul and personality is hard wired up to express a longing within you that is part of the very fabric of who you are at your core. When someone is in their element, it’s that point where who they really are intersects with passion and gifting in their everyday reality. 2. Identify your PASSION – What’s your holy discontent? 3. 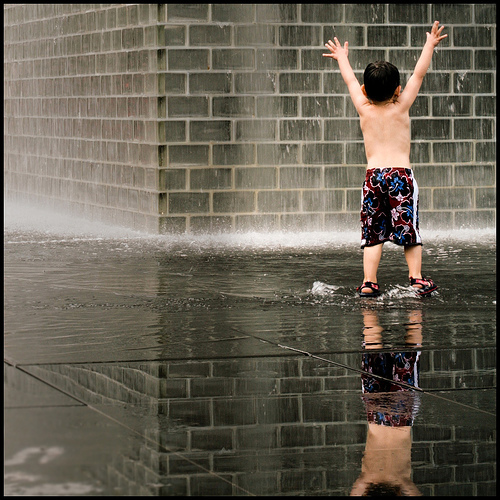 Discover your ABILITY – What comes easily to you? 4. See your OPPORTUNITY – What doors are open to you? 5. Open your EARS – What is God saying to you? Your destiny is not your decision, it’s your discovery. When you connect to your calling, you connect to your life purpose. God picks the meanest and weakest of people on the earth and he uses them. You’re in good company today. God has called you and he wants to use all of us in spite of our failings and shortcomings. Read Matthew 3:1-6 for context. I’ve had the privilege of seeing my 3 beautiful kids born and each time I observed the doctors keenly looking to see signs of normal breathing in the baby upon birth. Specifically, what they were looking for was the sound of the baby’s voice for the sign of life! Your voice is a unique natural expression of who you. 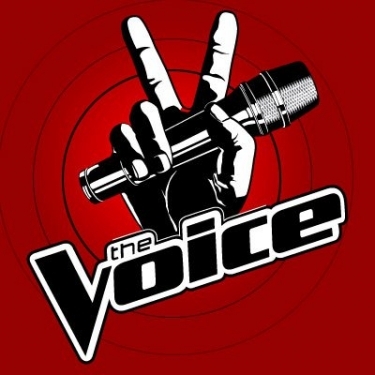 Popular TV show, ‘The Voice’ has popularized the unique vocal capacity of singers wanting to break into the music industry and be the next singing sensation. I like the show on many levels because it looks for originality, not simply an imitation. Your voice represents your unique life calling and life message Gods created you to share with the world. All throughout Scripture we read of God calling people like Moses, Esther, John the Baptist and others to lift up their voice in their generation. Your voice is an inspiration of the Spirit breathing life into you and through you into others. There can be no more noble cause than to find your own voice and help others discover their voice as well. Unfortunately, too many of us settle for being an echo that simply repeats or imitates others rather than fulfilling the unique calling on our lives, in our own uniqueness. All 5 of these insights were at work to an unusual degree in Johns ministry. Jesus said of him, ‘there has not arisen a greater prophet in all Israel.’ Gods given you a voice. Don’t settle for being an echo!